Automotive Services by Jack's Ford, Inc. of Sarver, PA, providing clean and reliable cars, trucks, and SUVs for every budget. 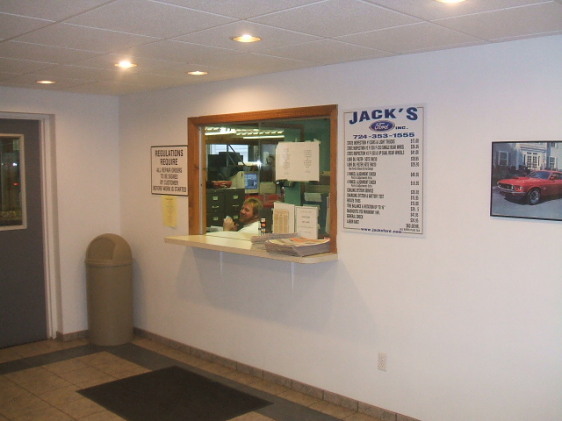 To keep your vehicle performing at its best, bring it to Jack's Ford, Inc. Service Department. Considered one of the area's finest Service Departments. Remember, using your vehicle's Recommended Maintenance Schedule is one of the best ways to get the most out of your vehicle. If you would like to schedule an appointment then please fill out our Service Appointment Request form.